Serving the Agricultural, Construction, Industrial, Mining, Petroleum, and Municipal Markets Worldwide. For over 45 years, the D&D name has been associated with product reliability and performance. D&D is determined to carry on its tradition of providing an expertly designed and manufactured product through innovation in modern manufacturing technology. 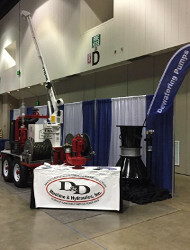 This, coupled with its focus on offering outstanding customer service, make D&D the leader in the dewatering industry. More than 45 years ago, D&D realized the unlimited potential of hydraulics. Since then, D&D has revolutionized the dewatering industry with a series of hydraulically driven pumps that provides the most technologically advanced and precisely engineered features available today. We offer a full array of hydraulic pump related services ranging from pump repair, in our fully equipped machine center, to on-site training for individuals, crews, or companies who use any of our equipment line. Watch D&D product & service overview, Axial Flow Pump, Digester Pump Maintenance, Digester Pump overhaul, or simply how D&D helps rebuild New Orleans. 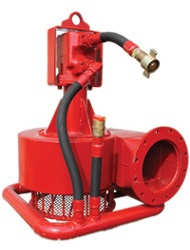 The Axial Flow Pump is the pump of choice when pumping large volumes of “clear” water at maximum heads of 25 feet. Whether your needs are flood control, field irrigation, or moving large volumes of water, rely on D&D Axial Flow Pumps for maximum performance. 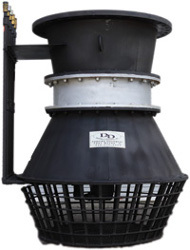 The D&D Slurry Digester Pump is specifically designed for pumping sewage, silt and other viscous material that cannot be pumped with conventional lift pumps. 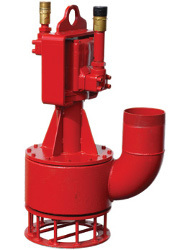 The submersible Sludge Pump has all the advantages of the open type trash pump, but due to the impeller design, it will pump extremely high percent solid content liquids. Submersible Trash Pumps are designed to pump water containing solids such as mud, weed, trash, sticks, and other foreign materials that cannot be pumped with conventional centrifugal pumps. 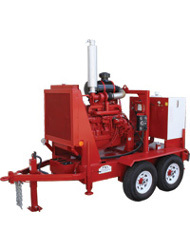 Hydraulic power units for all heavy duty applications, D&D Power Units are designed and manufactured for quality & trouble-free operation under the severest conditions. 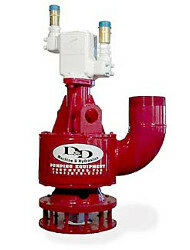 D&D dewatering equipment have a virtually unlimited amount of uses to apply to. Anything from Agricultural, Construction, and Environmental, to Marine, Mining, and Utilities. Jack has always taken a “hands on” approach to operating D&D. His 32 years of experience with D&D involves all facets of the day-to-day-operations including manufacturing, rentals, sales and service. For the past 16 years, Adam has developed an extensive knowledge base in hydraulics, manufacturing, and service. Contact him for help with your pumping needs and questions and hydraulic repair and replacement parts requirements. April has 20 years experience with D&D, utilizing her administrative skills to keep things moving smoothly throughout our operations. With her extensive knowledge and 20+ years of experience in accounting and office procedures, Chris is an Integral member or our team. Contact her with any accounting-related questions.